The average American has a total credit card debt that exceeds $6,000. The total credit card debt in the U.S. – for the first time ever – has exceeded $1 trillion. Due to this significant amount of debt, there are many people who are searching for viable solutions to not only reduce their total debt, but also to make it more manageable. If you are in this group of people, then the tips here will likely be beneficial. Keep reading to learn more. One of the biggest issues people have with credit card debt isn’t what they charge, but the high cost of interest. That’s because credit card is unsecured by any type of collateral, which means it isn’t tax deductible. When you use a home equity loan, often called a second mortgage, for paying off this debt, you can reduce your interest rate by converting it to a secured loan. Also, when you take out a home equity loan that’s under $100,000 from a lender, such as Dane County Credit Union, it may be tax deductible. To be sure, though, you need to check with your tax preparer or accountant. 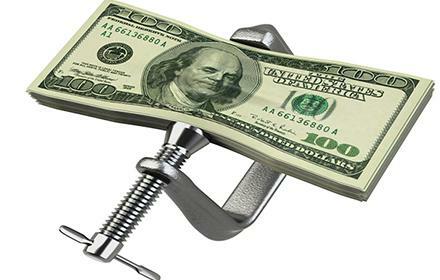 It’s easy to spend on credit cards, because most people view it as a problem for later. However, all those “later charges” can really add up when later comes. Just because you have credit, doesn’t mean you have to use it. The best way to get out of debt – and stay that way – is to create a budget for you and your family. Figure out how much you have coming in, your bills and how much you can save. Once you create and commit to sticking to this budget, you will find it’s possible to get out of debt – for good. 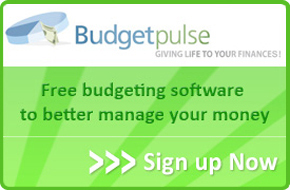 If you are worried you won’t be able to create a viable budget for yourself, consider using budget software. This can help you significantly with this process and even help you keep track of what you are spending. If you aren’t able to make the monthly minimum payments on your credit card, then it is essential that you contact the issuer right away. Let them know about your situation and they may be able to offer you new terms or even working out a payment arrangement to make the payments easier on you. If you aren’t comfortable negotiating with your card issuer yourself, hire a third-party company to help. They can help get a reduced payment or interest for you. If you choose to close your credit accounts, worried you may get into debt again, think carefully. Doing this may actually negatively impact your credit score in the short-term. It’s a good idea to keep your accounts open if you have always made the payments on time, and if you currently have a low or zero balance. One of the best things you can do when it comes to credit card debt is to build an emergency fund. That way you can rely on cash in emergency situations, rather than your credit cards. In the long run, this will help you avoid getting in more debt. As you can see, there are several ways you can manage your debt, and avoid getting in over your head in future situations. Use the tips and information here to ensure your credit card debt is managed and that you don’t exceed your means in the future.